Digital Consumer Goods Shoppers in Brazil Look for Health and Beauty | E-Consulting Corp.
Crise desacelera o crescimento do setor de Contact Center, prevê E-Consulting Corp. In Brazil, health and beauty lead other consumer goods categories in share of ecommerce sales, according to research. Nearly one-fifth of all digital spending on consumer goods was on health and beauty products as of April 2015. According to E-Consulting Corp., home appliances accounted for 16% of category sales, followed by fashion accessories, at 15%. 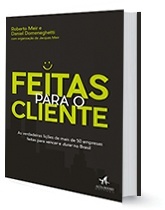 E-Consulting reported that consumer goods made up about one-third of Brazilian ecommerce spending this year—a fairly stable share of the total since at least 2006.
eMarketer estimates that 80.0 million people in Brazil will browse and research products digitally this year, and 37.3 million of those will go on to make a purchase on an internet-connected devices. These sales will total $19.79 billion this year—just 2.8% of the overall retail market in Brazil. That’s the highest retail ecommerce penetration as a share of total retail in all of Latin America, where the average rate is 2.3% this year.